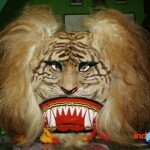 Reog is one of artistic cultures that originated from Ponorogo, East Java and Ponorogo nickname as Reog city truth. 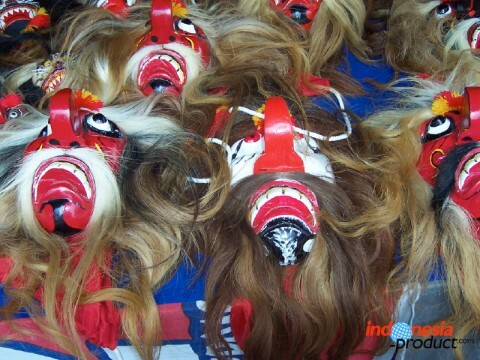 Because of this, Ponorogo is also known as Reog city. 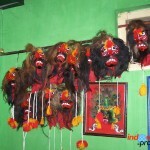 Reog is also famous as traditional dance that become the main identity for Ponorogo regency. Ponorogo city gates is decorated by Warok, two figures who have appeared at the time reog displayed. The other leading figure in Reog include Kelono Sewandono, Bujang Anom, and Jatil .Reog is one of the local culture in Indonesia that still very long and thick with mystic things. This theatre has been known wide in Indonesian even foreign tourists. 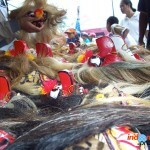 Modern Reog is usually performed in several events, such as weddings and National ceremony. Reog dance is also staged full moon nightly in paseban, Ponorogo Town Square. Reog told about the struggle for a prince who will propose to a lovely pretty princess. This dance is staged about 25-40 dancers and the musician. 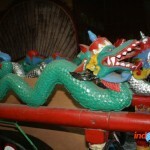 The interisting of Reog is his main leading figure named Singo Barong. 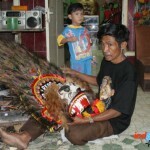 Singo Barong or Barongan (sudden peacock) is the most dominant dance equipment in Reog Ponorogo. 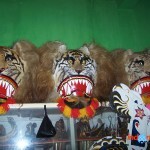 Parts, among others; Tiger head (caplokan) is made of a wooden frame, bamboo, rattan that covered with tiger skin Kingpin. Sudden peacock, frame made of bamboo and rattan as arranging a peacock feathers and bite is developing a string of beads. 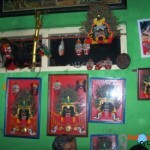 Krakap is made of black velvet cloth that embroidered with beads and the accessories showed write reog group identity. This sudden peacock has length of around 2,25 meters, width about 2,3 meters, and weights about 50 kilograms. 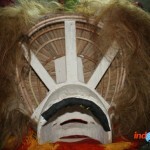 The dancer of Singo Barong bear the mask about 30 – 40 kg weight and supported by the strength of their teeth. The visitors can enjoy this traditional dance only in Ponorogo, East Java – Indonesia. 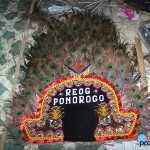 The only area that has REOG dance is Ponorogo, not in other country.